This is an appeal to support the Dilli Chalo campaign organised by the farmers of India. WHY DILLI CHALO AND KISAN MUKTI MARCH? 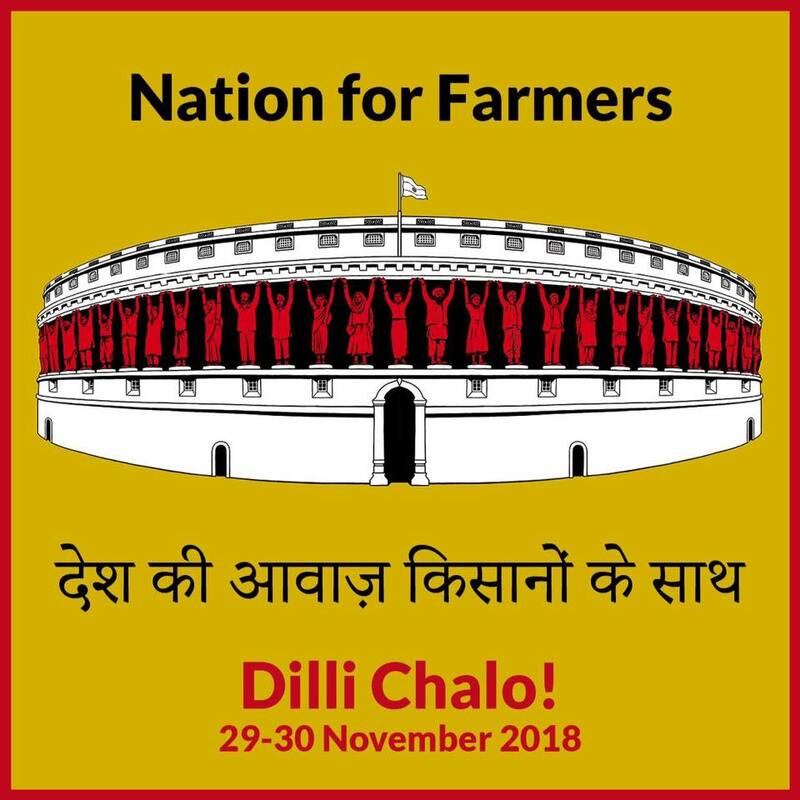 By now you must have heard that farmers from all over the country are marching to Delhi where, on November 29–30, they will demand that a special session of the Parliament be constituted to address the country’s acute agrarian crisis. 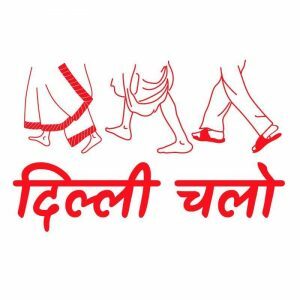 The ‘Kisan Mukti March’ to Delhi (‘Dilli Chalo’) is organised by the All India Kisan Sangharsh Co-ordination Committee. The rally in the country’s capital city will demand that our elected representatives and policymakers pay attention to three aspects of a long-drawn-out crisis in the agriculture sector: crops, prices and wages. The agrarian situation affects the life and livelihoods of 70 per cent of the country’s citizens (and the rest of us, by extension) and its problems are only growing. It is no secret that in the last 20 years we have lost more than 3,00,000 farmers to suicide caused by debt. Farmers are dying after struggling to keep the rest of us alive. 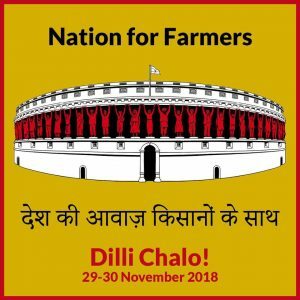 The Dilli Chalo campaign puts the spotlight on the core things that farmers urgently require: fair prices, just wages, employment, affordable education, health care and nutritional security. Thus, they are demandeding that a joint session of Parliament be specially convened for 21 days to discuss the agrarian crisis — something that’s not happened in all these years, even as the crisis has spiraled out of control. In Delhi and elsewhere, several groups of people have been organising themselves to express solidarity with the Kisan Mukti March and its Dilli Chalo campaign. This consolidation echoes the heart-warming support that Mumbaikars extended to the farmers who undertook the Kisan Long March from Nashik to Mumbai earlier this year. Under banners like Artists for Farmers, Photographers for Farmers, Doctors for Farmers, Bankers For Farmers, the slogan ‘Nation for Farmers’ is gathering momentum. It is time for us to add our voice. We believe that the publishing community can join the campaign at this critical juncture — as concerned citizens, as partakers of the food reaching our tables, as documenters of our life and times — we have a stake in this. Please support this effort in collating the voices from our community of publishers, booksellers, writers, translators and others. 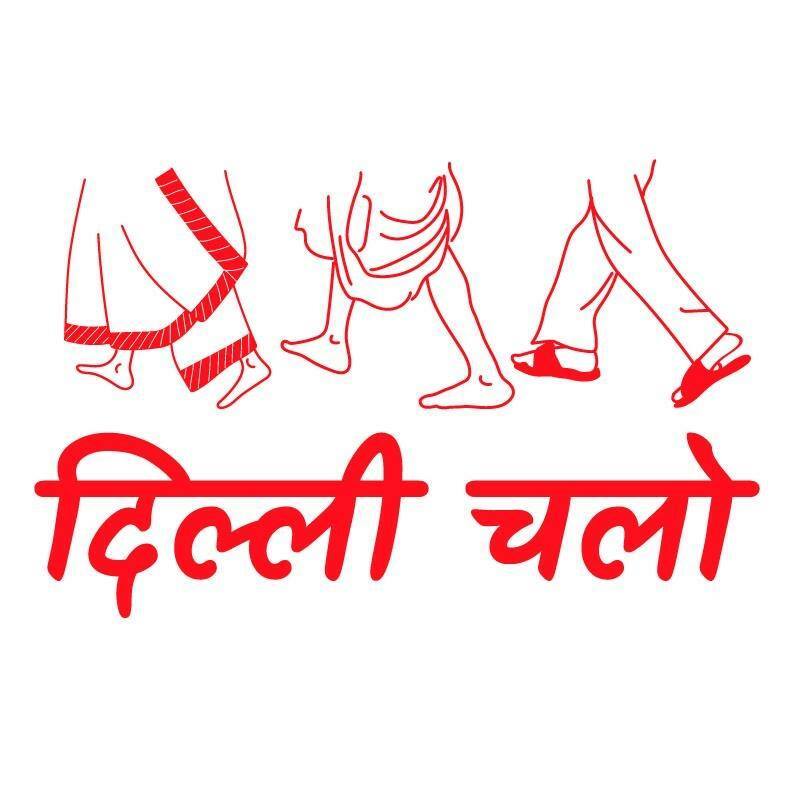 To know more about the Dilli Chalo campaign and the issues being raised through it, the information pack available on the Dilli Chalo website (http://dillichalo.in) is very helpful. Additionally, these are some ideas that we think can help the campaign. This is an indicative list to get started and spark ideas. Our creative community will, no doubt, think of more and better ways. Please make sure to share them with us. Write a note of support, an endorsement (see samples attached). Send it to us (with a photo). We are partnering with the Indian Cultural Forum (www.facebook.com/indianwritersforum.in)to put it out there, and we will share it widely too. Translate a poem/story/passage that readers in your language can read. Send them to us. In your language. If you feel confident about the issues, use the available media accessible to you, whether print or online, to write perspective pieces and/or editorials. For the next few days, at least until November 30, use your social media spaces to call attention to the Kisan Mukti March. If you have written or translated anything on the themes that are related to the issues, make it visible now again; get more people to read it. Send us information and links about it. Use #WritersForFarmers #PoetsForFarmers #DilliChalo #KisanMuktiMarch #NationForFarmers. Illustrators and graphic designers could also use #ArtistsForFarmers. Write a message endorsing support to Kisan Mukti March. Dip into your backlist and identify books that you’ve published on agrarian themes and highlight them via your official social media pages. Make your books visible. Send us the list of titles. We will put together a reading list that will be made public. Create special displays in your bookstores, highlighting books on the themes. From fiction, literary non-fiction to scholarly tomes, several new and recent titles can be showcased. Use your spaces to host readings and discussions on the issues. Send us your writings, links, photos, videos, ideas—anything. Everything. Send by email to: PublishersForFarmers@gmail.com. If you are in Delhi, march with the farmers.